The Objectifs Documentary Award champions Objectifs’ mission to broaden perspectives through image making, by supporting original voices in visual storytelling in Singapore and the wider region. The Award enables photographers to work on new or existing projects, encouraging them to tell stories about their native communities. It welcomes different creative approaches to non-fiction storytelling, from conventional documentary photography to visual experiments. Projects may be presented in still images or use multimedia. Successful recipients will be given professional and financial support to work on their projects over a 6 month-long period. The final works will exhibited at Objectifs in conjunction with our documentary programme, Stories That Matter in March-April 2020. Deadline for applications is 13 May 2019. 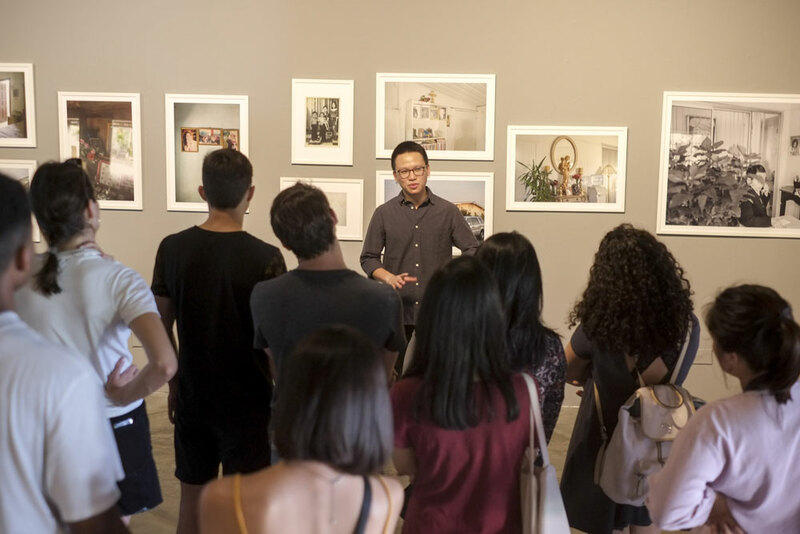 Recipient receives an opportunity to work with visual artist Wei Leng Tay to curate and present an exhibition at Objectifs in March 2019, and SGD$2,500 to work on a new or existing body of work. If the recipient is not based in Singapore, they will receive financial support for budget flights and accommodation to attend the setting up of and opening of the exhibition and conduct an artist talk/presentation. Recipient receives a 6 month-long mentorship with photographer Ian Teh, an exhibition at Objectifs in March 2019, and SGD$2,000 to work on a new or existing body of work. The recipients will receive basic production and logistical support from Objectifs for the exhibition. Completed works will be promoted on Objectifs’ website and social media channels. Selection will be based on the artistic and intellectual merit of each applicant’s project. We will also consider the feasibility of the applicant completing the project by 2 Jan 2019. Shortlisted applicants may be contacted to refine their projects or answer specific questions from the jury about their project. Successful recipients will be contacted by June 2019. We are seeking work created in photographers’ current or native communities. We welcome different creative approaches to non-fiction storytelling, including social documentary, portraiture, conceptual and art photography. Your final work can be entirely in still photography or use multimedia. The project may be new or existing (if existing, the photographer must communicate in his/her proposal what additional plans there are for the project), and must be completed by 2 Jan 2020. Open to Southeast Asian photographers (including Singapore), irrespective of age. Southeast Asian photographers who are not currently living/working in Southeast Asia may also apply. Applicants should ideally present an ongoing project that is near completion. Recipients should be committed to their projects. Objectifs will provide any necessary advice and support throughout the award period. a. Open Category: The recipient will work with an experienced curator to help edit his/her work and present it in an exhibition. The recipient will liaise with the curator to bring the project and exhibition to fruition. b. Emerging Category: The recipient will work with an experienced mentor, who is able to provide guidance and advice on refining refine his/her work. We recommend 4-5 touch-points through the project, but the recipient and mentor will determine the frequency and duration of discussions. Recipients agree that works for the proposed project will not be shown as part of a festival, exhibition or editorial without the written consent of Objectifs, prior to the exhibition at Objectifs in March/April 2019. Recipients should ensure that they obtain any relevant and/or necessary approvals, permits and/or rights when working on their projects. Recipients should provide regular updates as to the progress of their project to Objectifs and the programme mentor/curator. Recipients will retain copyrights of all works developed for the project. Recipients may apply for other grants/project funds from their own countries or in Singapore, concurrent with this award. The grant quantum is fixed. Recipients will be responsible for all incidentals, travel meals, living expenses and hiring of any assistants or production crew (if/where relevant). Recipients grant Objectifs the right to reproduce images from the project for non-commercial purposes relating to the promotion and marketing of the Award, exhibition and Stories That Matter programme. Objectifs should be acknowledged as a Supporter, together with the showcase of the Recipient’s works resulting from this Award, in any print or online platforms. In the event that the Recipient is unable to fulfill the commitments or does not complete the project without valid reasons, Objectifs reserves the right to recover partial or full costs as provided during the Award. Applications must be submitted electronically by 13 May 2019. Incomplete or physical submissions will not be accepted. We will not accept any late applications after the deadline. The selection panel’s decision is final. We regret that we are unable to provide feedback for applicants who are not selected for the Award. By submitting an entry, an applicant warrants and represents that any intellectual property are original to him/her, and that he/she has the rights granted for the work, that here have been no prior transfer of the rights to the images and that the publication of the images will not infringe upon any other person’s copyright or other rights. The applicant agrees to indemnify and hold Objectifs and the Selection Panel harmless from any liability, loss cost and expense (including legal fees) arising from any breach of the foregoing warrants, due to or arising out of the applicant’s entry materials for this Award or the applicant’s conduct during and in connection with the creation of his/her work for the Award.